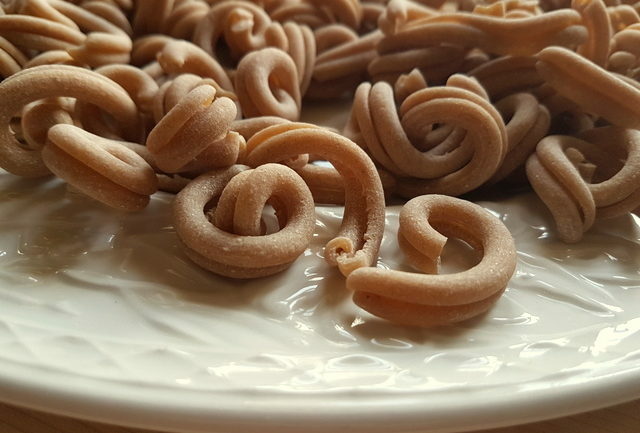 Intrecci pasta is a relatively unknown type of pasta that I bought from an artisan pasta maker in Lazio. 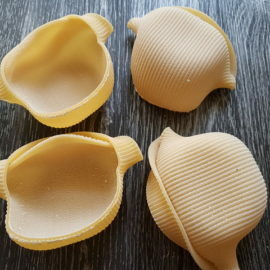 When I searched for more info about this pasta shape, I found that it is only produced by a few small artisan companies. 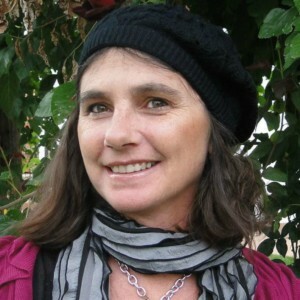 But it can be found made with different organic ancient grains such as kamut (Khorasan wheat), Senatori Cappelli and farro, as well as the normal durum wheat used in the production of most pasta. The name intrecci comes from the verb ‘intrecciare’ meaning to twist or weave. 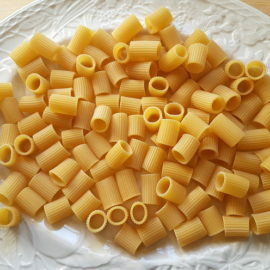 Each piece of intrecci pasta looks like two curly pieces of pasta twisted together but, in fact, it is of course only one piece. Apart from being a pretty pasta, it’s great for thick robust sauces as the sauce ingredients get trapped in the pasta pieces. This is so much better than eating heavy sauces with smooth pasta, which I don’t really like as you end up with a lot of sauce still on your plate after finishing the pasta! Artisan pasta makers in Italy! 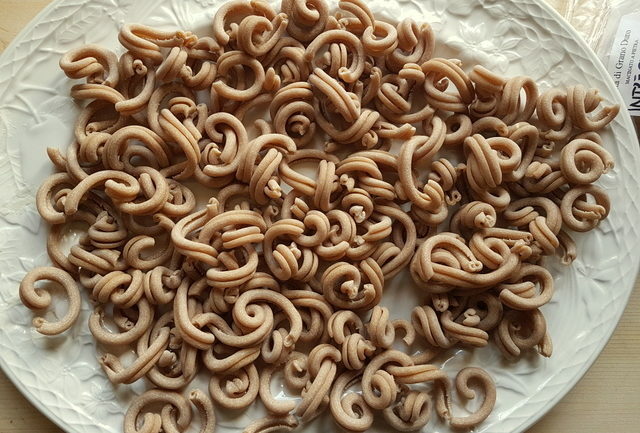 Nearly all my favourite types of pasta comes from small artisan dried pasta makers called ‘pastifici artigianali’. 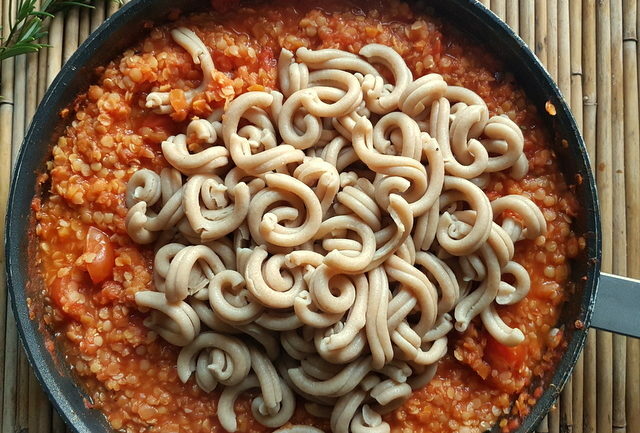 These companies produce pasta in a more traditional way. They extrude the dough through bronze dies instead of the Teflon ones used by the big companies. 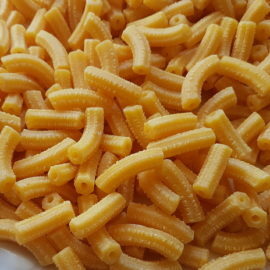 This gives the finished pasta a rougher surface which helps the ‘sauce’ adhere better. 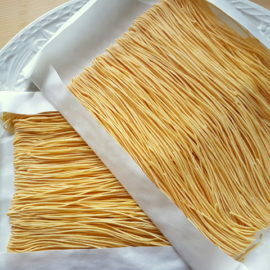 They also slow dry the pasta, which helps retain the taste of the wheat. A lot of artisan pasta is made with local natural spring or mountain water and locally grown wheat. So this is the pasta to look out for! 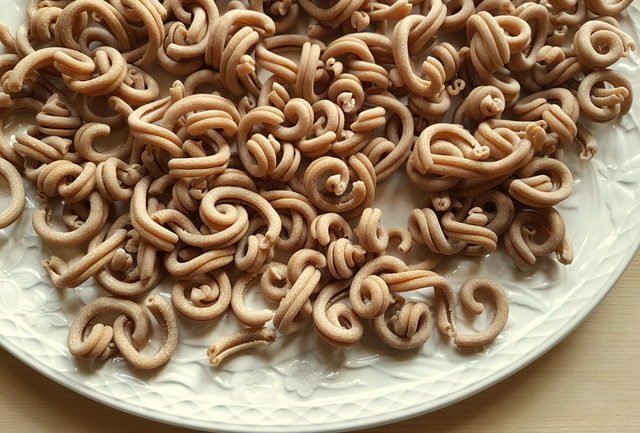 Today, many artisan pasta makers are also turning to organic and ancient types of flour to make their pasta. The intrecci pasta that I bought was made with stone-ground whole durum wheat. But, the place I bought it in also sold intrecci made from farro. The first recipe I used my intrecci pasta in was with a lentil ragu. 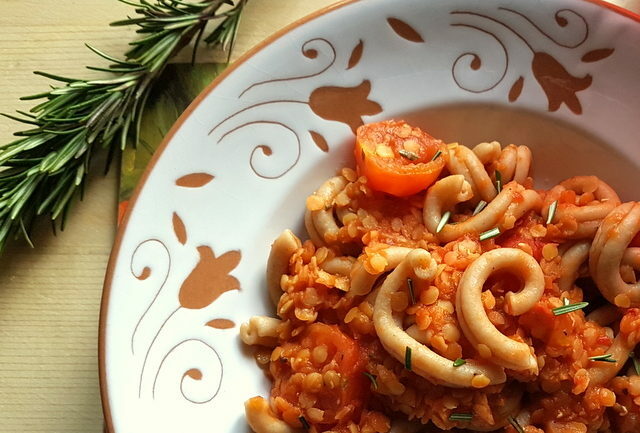 The combination of the lentil ragu and the stone ground whole wheat pasta made this a hearty and healthy dish. One that I will definitely be repeating and if I can’t find intrecci (although I hope I can), with another whole wheat pasta. If you come across this pasta, grab a packet. I’m sure you’ll enjoy as much as I did.